Art is taking to the streets — and the fields — during the fifth annual Burnet Art Festival with artists from across Texas and beyond descending upon the city for four days of creating and celebrating. 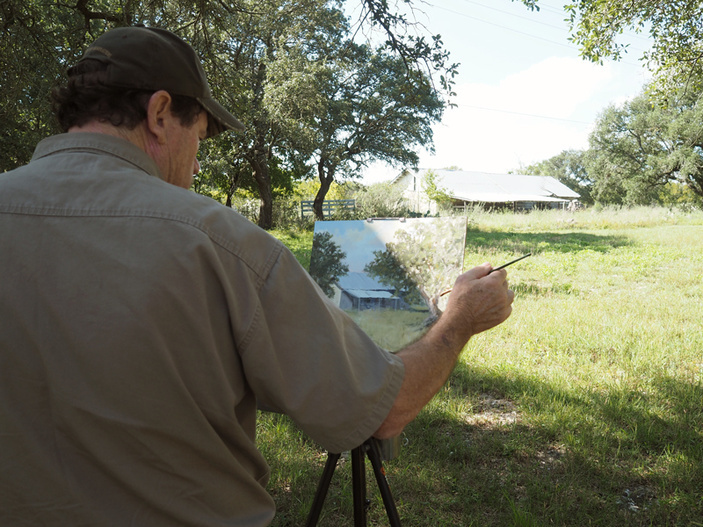 The Burnet Art Festival, which is Wednesday-Saturday, Oct. 10-13, is both a plein air competition and a festival. Plein air competitors will span the area, setting up their easels outdoors to paint area landscapes, architecture, and scenes that catch their eyes. For people not in the competition, this is a great chance to see how artists take something they see and bring it to life on their canvases. You can ask them questions or just chat as many of the artists love to share their stories with others. Who knows? You might find a little inspiration to pick up a paintbrush yourself. Things start rolling Wednesday as the artists begin showing up and registering. Competitors will likely spend most of Wednesday through Friday in the community painting because they need to have their entries turned in from 10:30-11 a.m. Saturday. But the fun isn’t done, nowhere near it. The quick draw competition is 11:15 a.m.-1:30 p.m. Saturday. Participants get only that allotted amount of time to find a spot and finish a painting. This year, the Burnet Art Festival includes a gallery open show at the Burnet Community Center, 401 E. Jackson St. All painting styles are allowed in this show. The event will be headquartered at the center Friday and Saturday. On Saturday is a silent auction from 1-6:30 p.m. The awards ceremony begins at 3:30 p.m with the youth division. At 6 p.m., the rest will be handed out including for plein art, quick draw, and gallery show. The Burnet Art Festival is held in conjunction with Octoberfest and Fort Croghan Day, which are both Saturday in Burnet. Go to artburnet.com for more information on the art festival.